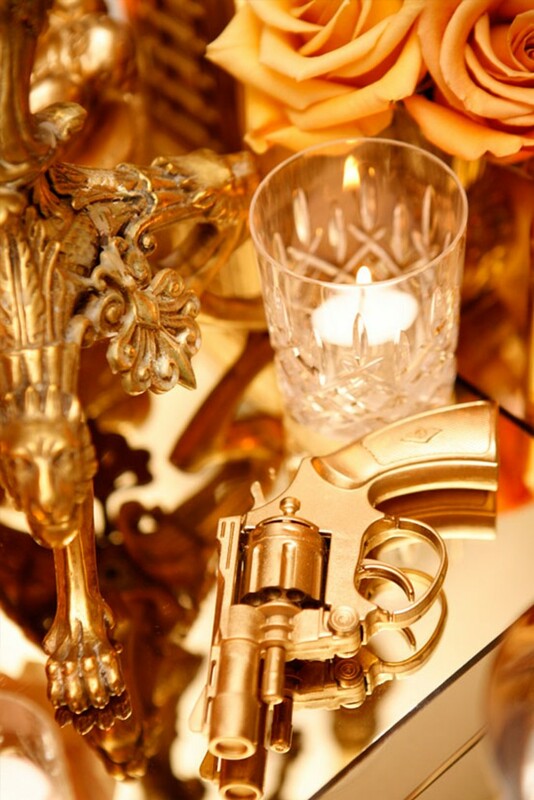 Fiona Leahy is the original table-scape stylist. Creating table centres and parties for the elite and famous, and fashion houses such as Dior and Louis Vuitton. 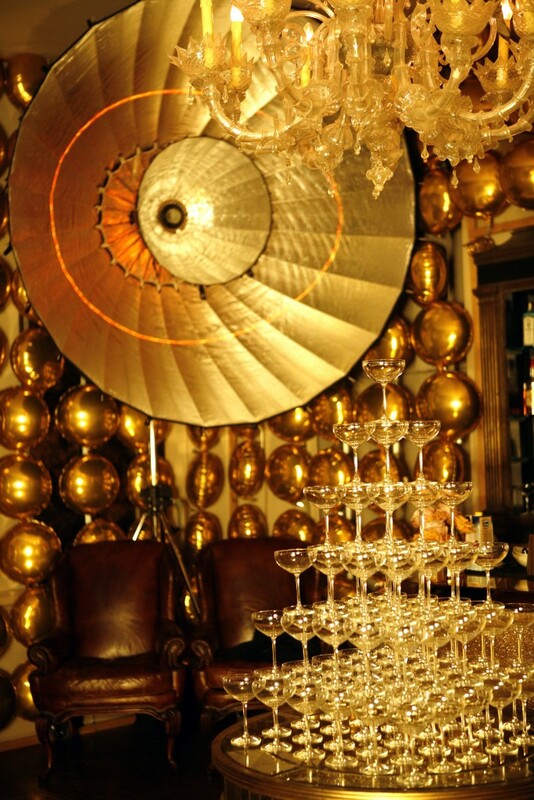 Fiona completely transformed the bar with gold foil balloons that wrapped the walls. Guests were welcomed with a five tier rosé champagne tower. Dinner was served in the Orangery. 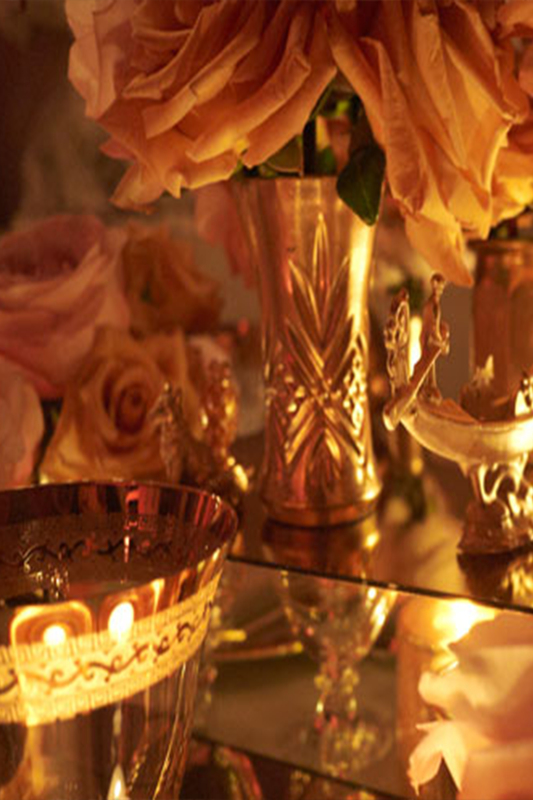 The table decorated with beautiful gold candelabras, gold figures – from pineapples to swans all set on gold mirrored boxes. 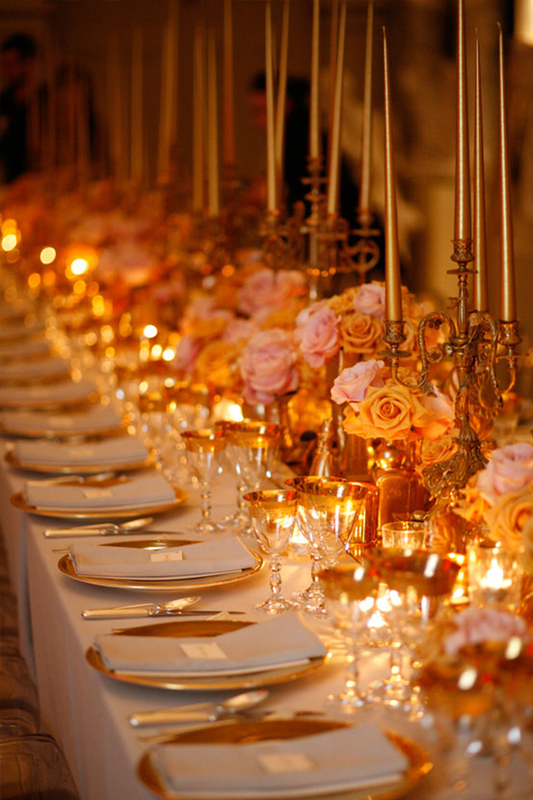 Pink and gold roses peppered the gold display and the tableware had a touch of gold to bring the look together.